procedure for setting up the fixture. Square bar to table by lining up one edge of movable stop with one edge of table slot. Next tighten the two socket head screws. After work fixture has been set up, a kerf can be sawed into bar 1/16 in. to 1/8 in. deep. 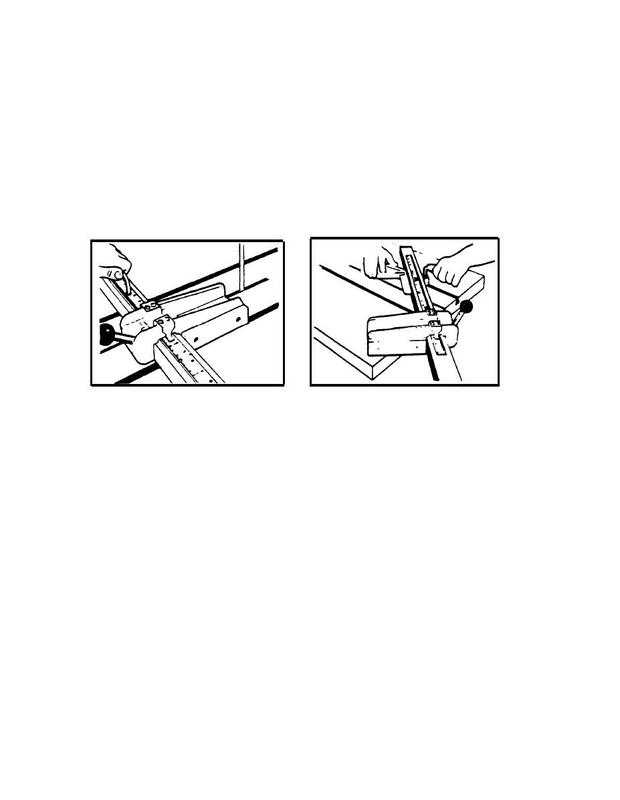 prevent sawing deeper into work bar upon completion of cut. Square the bar to the table T slots. Set up for angle cut-off. Remove right hand T-nut and socket head screw from bar. Loosen left hand screw. Turn bar to desired angle and tighten left hand screw. snugly against bar and tighten screw. If necessary, align zero mark on scale with saw band, then zero the pointers.